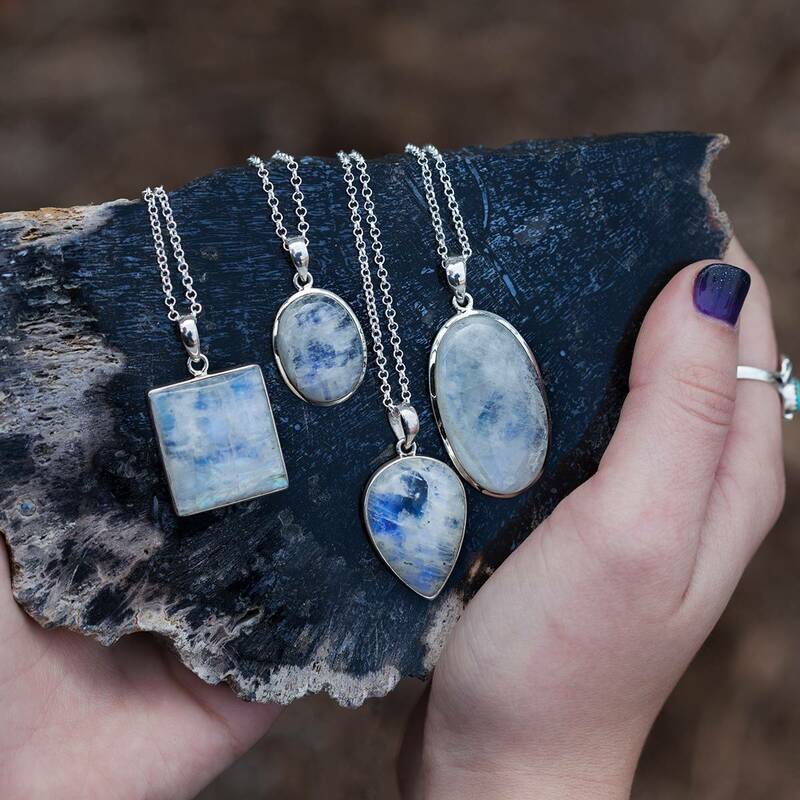 These tumbled charoite pieces are bursting with unparalleled wisdom, past life connection, and understanding of the present moment. Charoite is a rare and challenging stone to source, which makes it even more special that I’m able to offer these unique gems to you, the color and variation of which are simply amazing. Found only in Russia within a sparse set of mines that are almost tapped out, charoite is an ancient stone known by energy workers as the Soul Stone. 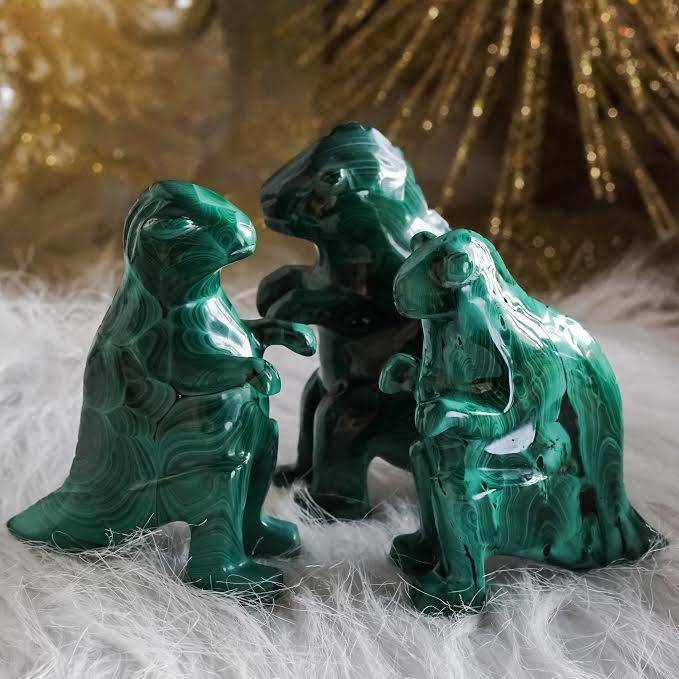 This gem helps soothe and ease your spirit, leads you to navigate change with ease and grace, and activates the Crown Chakra for spiritual integration. It also promotes peaceful rest and dreaming, while protecting your spirit and your aura from harmful and damaging energies. 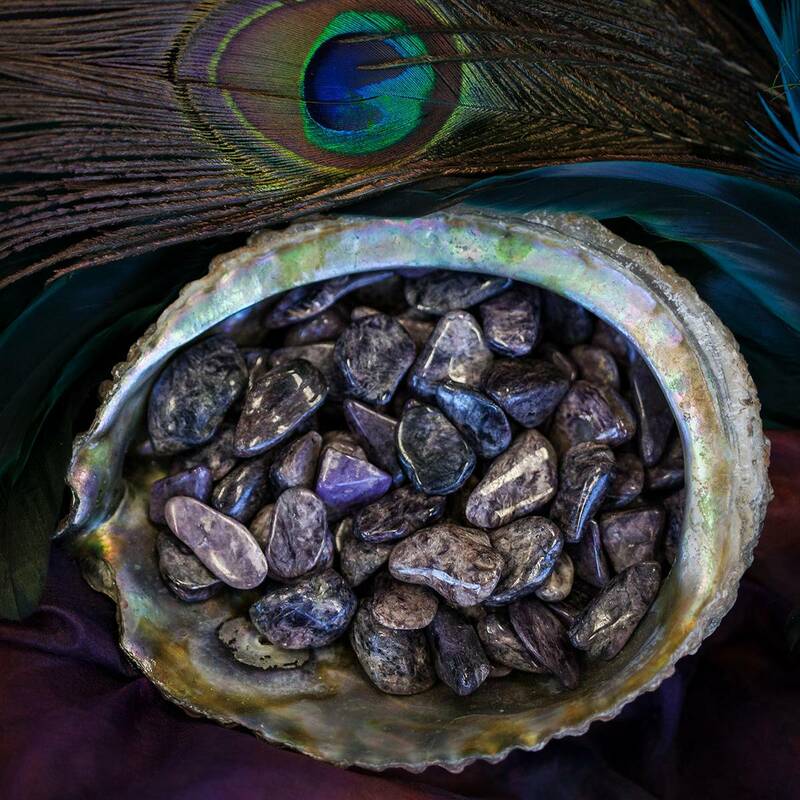 Regarded as one of Nature’s best dream and illuminator stones, charoite helps you open up to spiritual guidance – in regards to both the present and the future. This stone’s bright lavender to rich, deep purple hues are soothing, prompting us to let go and allow, which brings us the experience of acceptance and greater peace in our lives. Charoite, which resonates with the Crown and Heart Chakras, helps us access lessons learned in past lives, thus healing any emotional fears that prevent us from living fully and powerfully in the present. This stone strongly emanates the Purple Ray, and with this talisman, you are reminded that where you are is precisely where you are meant to be. If you are doing heavy soul work right now, this is your gemstone companion. Charoite’s graceful lines and etchings remind you that you can weather harsh storms and be even more beautiful after surviving rough seas. Charoite also helps you experience more positive synchronicities and feelings of unconditional love, as it unites the Heart and Crown Chakras. 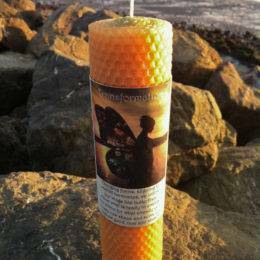 Meditate with this stone to discern your soul’s purpose, and to call in protection and healing across all planes. This listing is for one (1) tumbled charoite stone (about 0.5” in size). Yours will arrive lovingly parceled along with a single leaf of white sage and a card describing the properties of the stone.